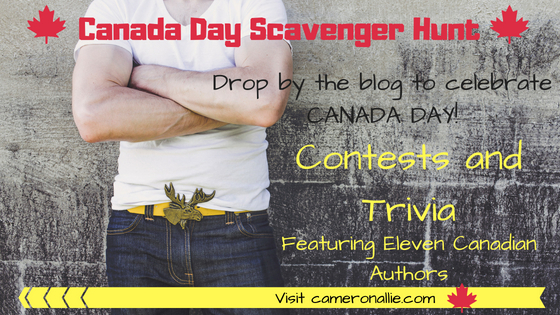 So with Canada Day right around the corner I’ve enlisted several Canadian authors to partake in a blog tour. So next Sunday, July 1st I’ll have 12 blog posts, each one with a contest and a trivia question. 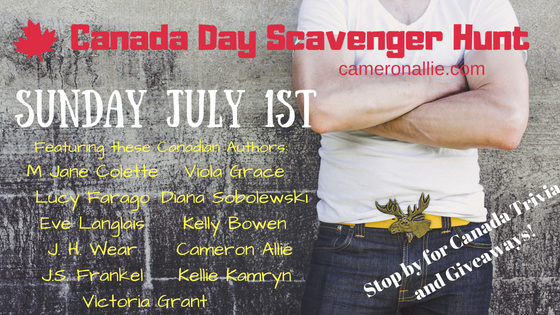 So stop by, learn about some Canadian romance authors, and celebrate Canada with us! As far as a writing up date…. Well, things have slowed down quite a bit. With the baby it’s a little difficult to get time to focus on writing. I have turned in a short holiday story that will be out this coming winter, but I still have a ways to go on the final stories in the Our Love Story and the Unexpected Changes series. But I haven’t forgotten! I’m chipping away whenever I can and will hopefully have a better update for you soon. I have signed a contract with eXtasy Books for a sci-fi, menege trilogy called The Breeder. My hope is to be finished my two current series by the end of the year and to get started on the trilogy before 2019. What’s going on in my person life? Well, my sister is getting married this year, so much of my time is spent getting organized for that. Planning the shower and bachelorette party, shopping for dresses, etc. Our DD is now almost 3 months old and is very clingy, so I’m soaking up as many snuggles as I can because I know she’ll soon outgrow wanting to be held. She’s already rolled over a few times and is practicing grabbing things and sitting up. She’s very nosy, and likes to be entertained. So stop by next Sunday for a fun filled day!